A New Piece and “Tree” Update! I was traveling for business last week on Thursday and I couldn’t get to my blog post–so I’m posting two updates today. First, a piece you probably have never seen before. I love how serene she looks…and there’s been a request for her in California, I think. We shall see! The second update is on how “Tree” is progressing. 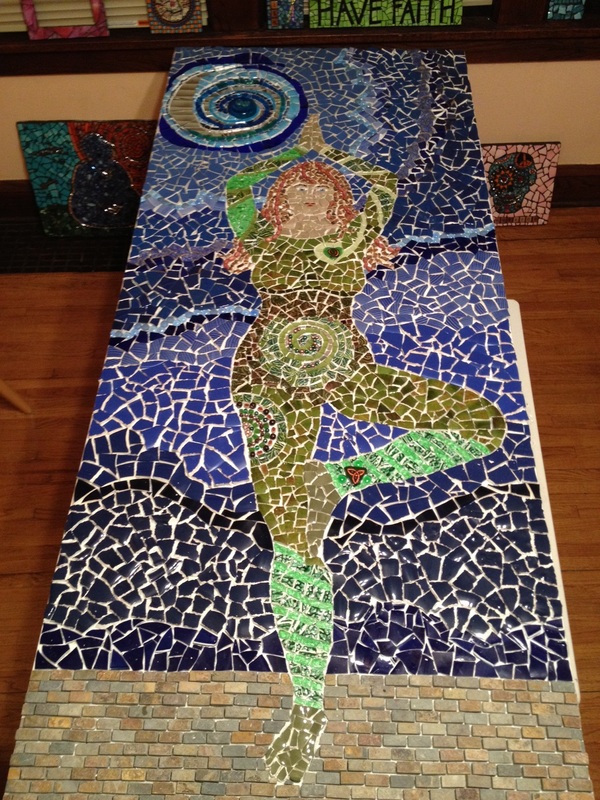 Not only is she finished being mosaic’d…. 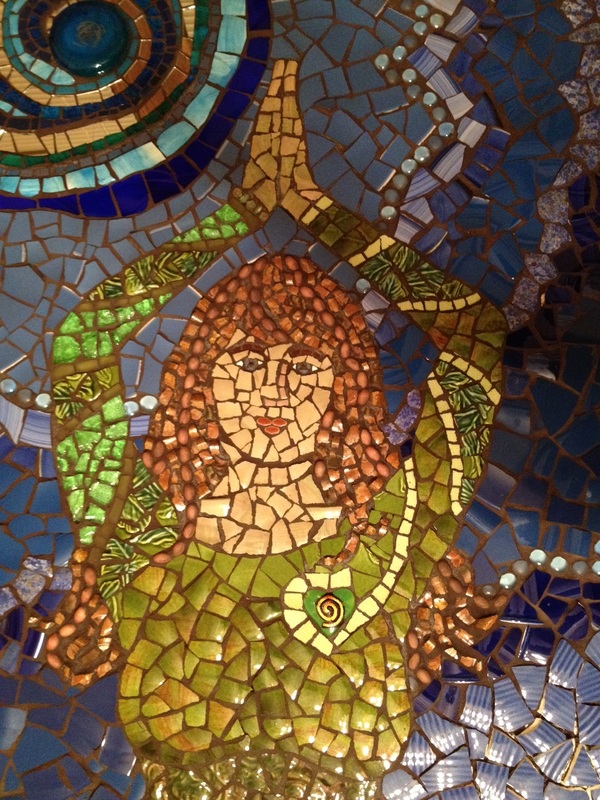 It always amazes me how grout changes and completes a piece…you can see the bottom portion of the image is half grouted. I plan to try and finish grouting her tonight. (Fingers crossed!) We might have to have a mid-week update! Cheers and happy Thursday! I can smell the weekend–can you? 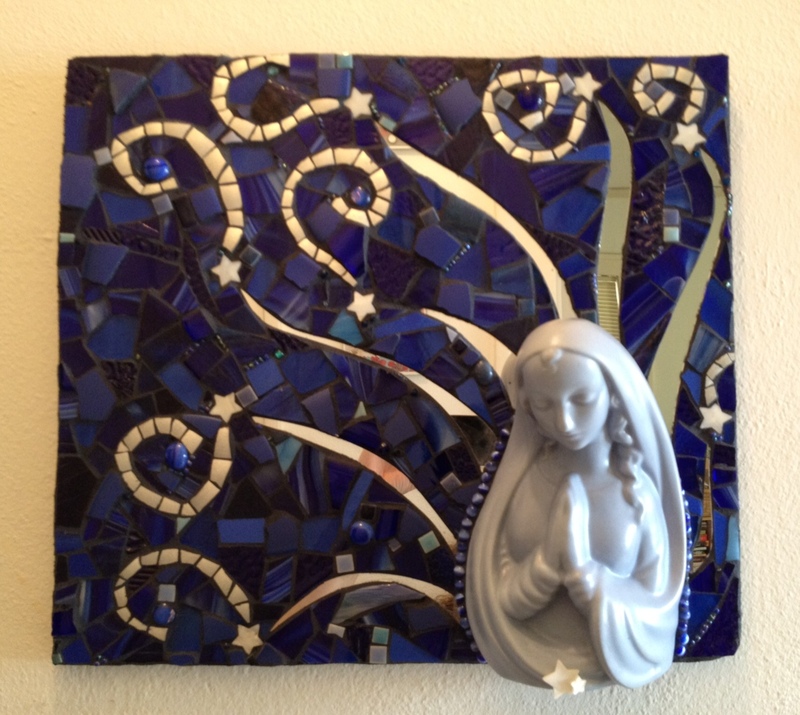 This entry was posted in Finished Work, Work in Progress and tagged mosaic, shooting stars, tree pose, virgin mary, yoga, yoga studio. Bookmark the permalink.